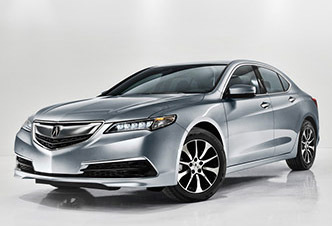 If you ordered a 2015 Acura TLX your vehicle may be in manufacturing right this second! Acura started mass producing the performance sedan at its Marysville, Ohio plant yesterday. Parent-company Honda says 90% of Acura models sold in the U.S. are now made in the U.S. “The start of mass production of the TLX marks a new era for our Acura sedan lineup,” says Mike Accavitti, senior vice president and general manager of Acura. “The TLX is built in a world-class facility with a world-class workforce and we can’t wait to get this thrilling sedan into the hands of our customers in just a few short weeks.” We hope to see the first 2015 TLX arrive at Butler Acura sometime this August.